What's Your Rabbit's Dream Home? 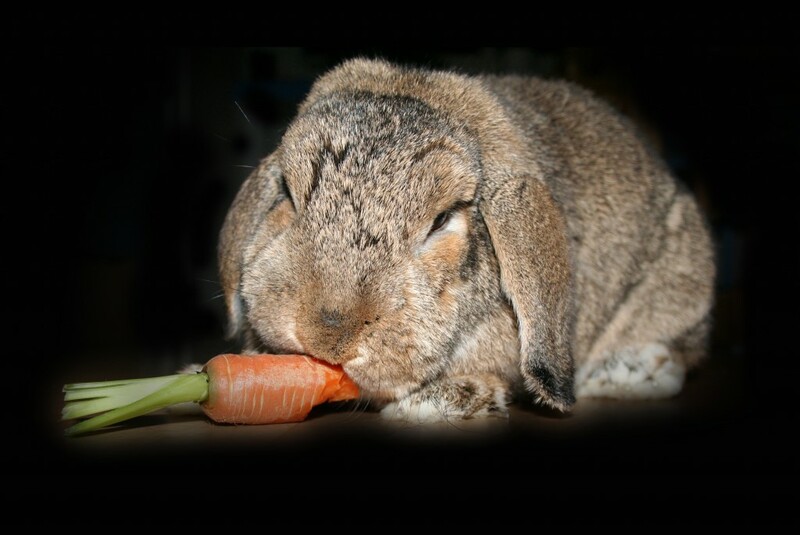 Mike Holby & Kim Wryall write this blog for rabbit lovers everywhere (see About Us). Photo courtesy of Debbie Miller. Can A Rabbit Be Healthy Outdoors? Why Do I Need A Run As Well As A Big Old Hutch Then? Increasingly the trend in rabbit care is to keep the rabbit hutch indoors. This may reflect greater increases in urban predators attacking outdoor rabbit hutches such as the urban fox. It’s also probably due to greater access to information easily available on you home PC more recently. Owners may be choosing to house indoors also have a much greater array of products from pet stores to help them these days. This article aims to explore whether you can reasonably keep a rabbit indoors for your sake and theirs, the advantages of it and what you need to do if you want them to have the run of part of your home to protect it and them. Is It Really Normal to Keep Them Indoors? Rabbit hutches can be reasonably placed indoors without creating too much disturbance for your home environment. If you’re worried about a smelly hutch, good rabbit care involves cleaning the hutch daily in any case, which should prevent unpleasant odours. (It may be the case that the ‘rabbit hutch’ smell we remember from our childhoods was to do with damp hutches outside in any case?). In terms of normal, it certainly wouldn’t be out of step, as it’s defiantly a trend – with many people opting to allow their rabbits part of the house to roam freely in at some point during the day. So you can feel confident it’s not going to give you too many social problems, there should be no smell and it’s quite the modern way to do it these days. What About Letting Them Run Free? 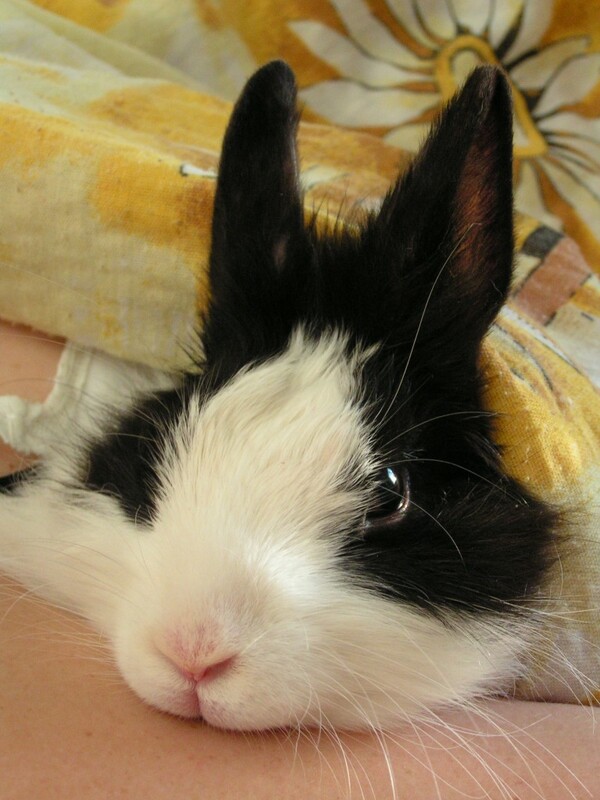 Some owners do this, the plus sides are fantastic interaction with your pet, to help the bonding process – for kids too, it can be more rewarding to feel that their bunny has a relationship with them. You may also find having them in the hutch and free running at times in the house helps you monitor for illness. A very humanist perspective is most people would like to do the right thing by their pets but they lead busy lives – perhaps simply having the rabbit around while you do the chores an easier way here. Free running has many advantages but you need some tips on rabbit-proofing the home before you attempt it. Move any electrical wires. Many bunnies have been fatally electrocuted by chewing electrical wires. You can buy tough vinyl tubing from a hardware store to house the wires in so they can’t get at them (1). In fact, anything they can chew could cause injury – as they chew, little parts can be created. This can ‘poke’ them both inside and out! You also want to keep curtains/drapes, hanging bedspreads, precious fabrics – not to mention the paper or plastic folders from your briefcase- well out of nibbling reach. Some household plants are poisons to them – keep all plants well away from them just in case (2). Once you’ve eliminated these hazards and protected your furnishings, think who else is around in the home. Although cats, dogs and other pets may seem to get along just fine with Mr Bunny-Kins, never leave them unsupervised. 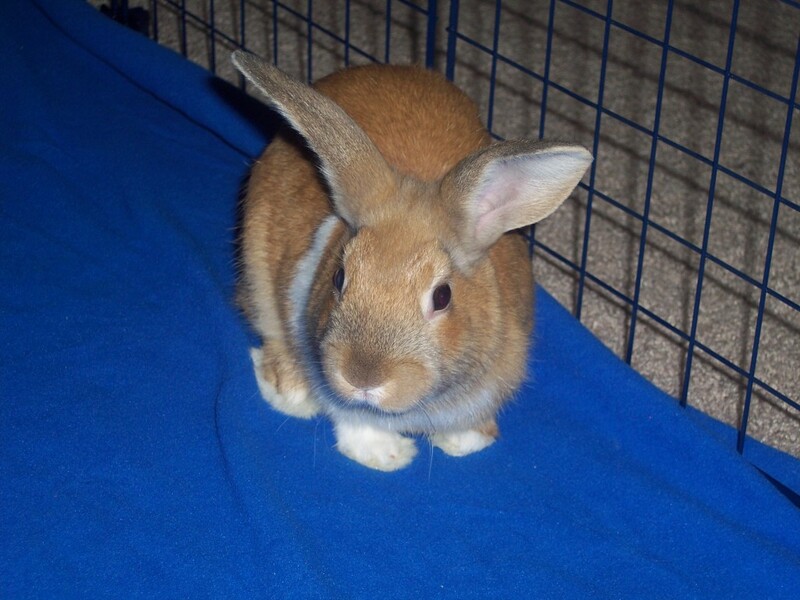 Bunnies scurry about and this could excite a pet to ‘play’ or attack, causing injury or stress. No-one’s being naughty as such, this is what many breeds of dog, for example, were originally bred to do! Kids aren’t born with animal skills, they need you to teach them good handling – rabbits can suffer crippling injuries if inappropriately picked up or accidentally dropped. Again, no-one’s naughty here – kids ‘love’ their teddies – and you – by cuddling, they just need your tuition as to how to do it properly. NEVER lift a rabbit by the ears, this has caused major injuries. Having placed firm boundaries on the other pets and kids in the house, think about what your bunny might be coming into contact with. 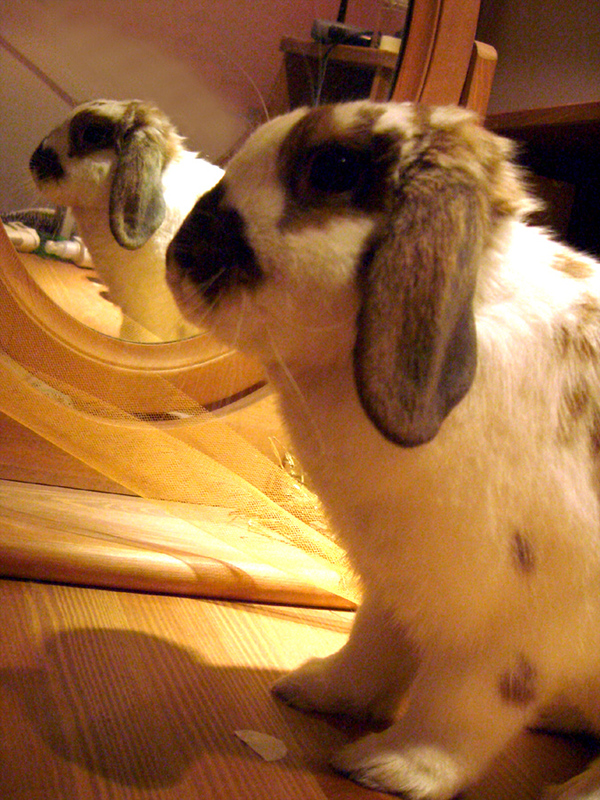 Some household chemicals used to clean furnishings may be toxic to rabbits – if they choose to chew on the furnishings (2). You may find it useful to distract them by providing safe chewing toys for them – even a cardboard box full of hay will do (1). Living more closely with your rabbit might help you spot life threatening diseases – did you know that if a bunny sneezes, it may have a condition that could lead to pneumonia? Younger rabbits under 1 year old usually need a closer eye kept on them for chewing, etc than older rabbits do but still, take no chances. There are, as explained, some distinct advantages that may fit in well with modern urban living – more foxes being around (or other predators, depending on your location), and having an easier way to interact with your bunny if you can’t spend long periods in your garden. Buy:Viagra Super Active+.Viagra Soft Tabs.Viagra Professional.Maxaman.Tramadol.Cialis Super Active+.Super Active ED Pack.Cialis.VPXL.Soma.Cialis Professional.Levitra.Viagra Super Force.Cialis Soft Tabs.Viagra.Propecia.Zithromax….